If you’re a backpacker who loves hiking for miles in the great outdoors in search of your own private camping utopia, then chances are you’re going to need a good quality tent. You’ll need something lightweight, yet durable enough to withstand the elements that nature can sometimes throw at you. Through our research, we think that the ALPS Mountaineering Lynx 1-person tent is the best overall tent if you are the only one sleeping in it. If you need something with a little more room, then we suggest the Teton Sports Mountain Ultra Tent. Weighing in at only 5 pounds, it’s not only light but can sleep up to four campers. There’s just something about carrying everything you need to survive on your back. Not only that, but along with being a calorie-busting exercise, the hikes you take will reveal sights and sounds that you can only reach on foot. Whether you’re going out for one night, a week, or 6 months, you will need shelter. A good backpacking tent is a hefty investment, but lucky for you, we put together a list of some of the best backpacking tents for the money. I love ALPS Mountaineering, and no list of best backpacking tents for the money would be complete without this brand. The company prides itself on high quality, easy to use gear at very affordable prices, and the Lynx 1-Person tent is no exception. With the ability to set the poles up with only a fly, you can set the body up inside the stand-alone fly ensuring the body stays dry if setting up in a rain. At just under 4 pounds, this tent comes with plenty of room for an average sized person, and a giant vestibule under the fly big enough for a pack, boots, and probably a dog. This is one of the biggest vestibules I have ever seen for a 1 person tent. It has roof vents on the fly and plenty of mesh windows for ventilation that is essential to keep out condensation. This really is one of the best backpacking tents for the money. If you would like to find out more about the ALPS Mountaineering Lynx 1-Person Tent, you can find more reviews and see the price on Amazon. 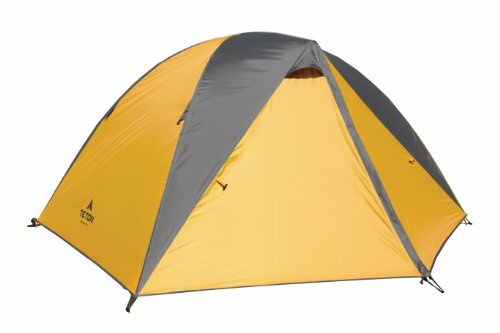 Another great entry for the best backpacking tents for the money is the Teton Sports Mountain Ultra. At just under 5 pounds, this is another light tent that won’t break your back, but when packed in the bag, it’s 17 inches long. This is a little big for smaller packs. The set up is very quick with only one main pole and a small roof pole. One person could have this tent up in under 5 minutes if you’re taking your time. The sides are full mesh which is great for ventilation or for sleeping under the stars without a fly on a warm, dry night. The vestibule created by the rainfly is plenty big enough to store wet or muddy gear, and the package even comes with an included footprint. 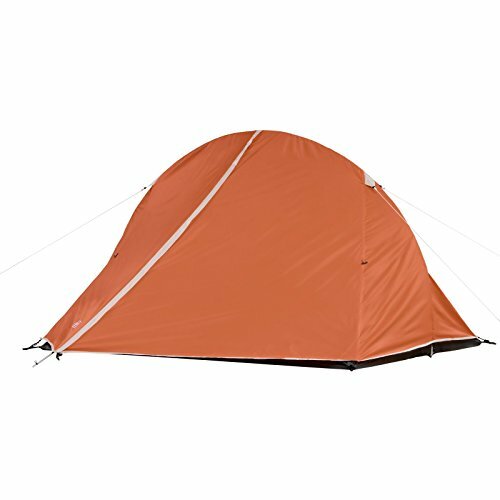 There were some reports of leaking and the mesh being a little fragile, but if the only extras you need for this tent is smaller stuff sacks and some seam sealer, then it’s a great backpacking tent for the money. If you would like to find out more about the Teton Sports Mountain Ultra tent, you can find more reviews and see the price on Amazon. The first two-person entry for the list of best backpacking tents for the money, the Bryce Ultralight is a great choice for either one person who likes a ton of space, or a pair that doesn’t mind cuddling. At just 4.4 pounds, this won’t weigh you down, but with a 17-inch stuff sack, it takes up a bit of space. With a full mesh body, there is plenty of ventilation, and the mesh is a very fine weave, which is great for bug protection and privacy, but it can tear if you aren’t careful. With only one door and a normal sized vestibule, it may not be extremely comfortable for two people and their gear, but it does easily fit two people inside. There were some reports of the poles bending in strong winds, but proper care taken with the guy lines should prevent this, and the stakes are pretty low quality, so you may need to replace these. All this, plus an included footprint, makes this a great backpacking tent for the money, and the only thing you may want to consider upgrading is the stakes. If you would like to find out more about the Bryce 2P Two Person Ultralight Tent, you can find more reviews and see the price on Amazon. Any list of high-quality budget gear needs an entry from Coleman, and for the best backpacking tents for the money, the Coleman Hooligan is a no-brainer. The one pole, slip through design is a little tricky as the tent will not stand without being staked out, and slip through poles are just a pain. 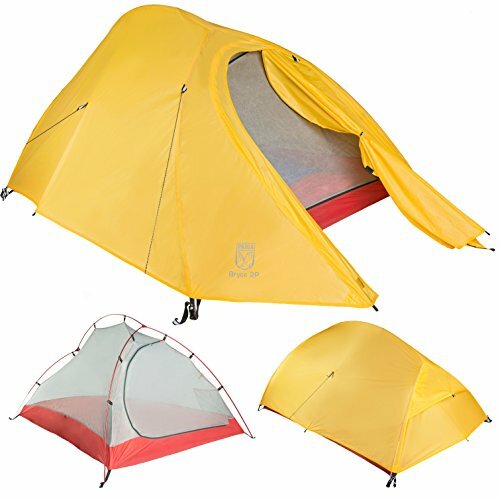 With practice, however, this tent could be a quick and easy set up as long as you aren’t in the dark. The tent body is full mesh and the fly has a giant, covered vent in the side to allow for enough ventilation to keep dry. The rainfly also creates a sizable vestibule for gear and such. This is a two person tent, but with only one door and vestibule, it might be a little uncomfortable to get in and out for two people. Coming in at the lowest price on the list of best backpacking tents for the money, the Coleman Hooligan is a sturdy, durable tent for under $50. A truly great value for someone looking for a first tent. If you would like to find out more about the Coleman Hooligan Tent, you can find more reviews and see the price on Amazon. 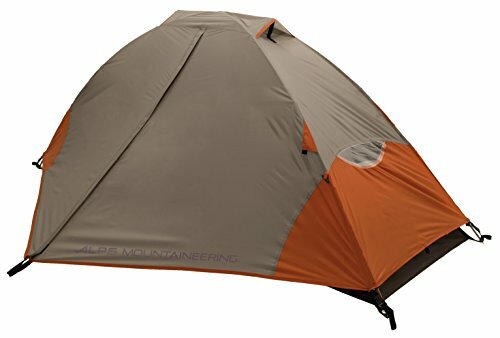 Another great tent from ALPS Mountaineering, the Tasmanian2 Person is the only 4 season tent on this list. At 7 lbs and 7 oz, this tent is a little heavy, but for the winter protection and room for two, this is still a great weight. It doesn’t pack down very small, but with upgraded stuff sacks, and split between two people, this tent wouldn’t take up too much space for everything it offers. The body of the tent has no mesh besides the closable door window, and the only other ventilation is through closable roof vents, so while it isn’t very well ventilated, this is designed to seal in your body warmth on nights that dip into the negatives. Every wall is lined with mesh pockets for gear storage, and two doors located at the head and feet, each with their own sizable vestibule would keep you and whoever is with you warm and comfortable, with plenty of space for gear in the vestibules. If you plan on doing winter backpacking, this really is one of the best backpacking tents for the money. 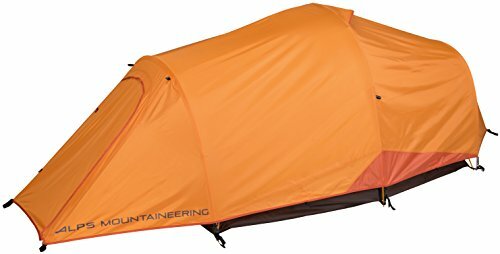 If you would like to find out more about the ALPS Mountaineering Tasmanian 2-Person Tent, you can find more reviews and see the price on Amazon. It goes without saying that a backpacking tent needs to keep you dry, but that’s something you need in every tent. A good backpacking tent will need to be light and small enough, when broken down, to fit in your pack and not break your back on the hike. You also want it to be tough enough to protect you from a storm, durable enough to be put on rough terrain, and quick and easy enough to set up alone if you need immediate shelter or are just tired at the end of a hike. The best backpacking tents for the money should be pretty light. The general guideline is under 5 pounds per person, but still, the lighter the better. When you are hiking 8, 12, or 20 miles, one pound can actually make a lot of difference. Similar to weight, your backpack only has so much space before you run out of room for food and extra layers of clothing. Packs are typically around 35-60 liters, if your tent takes up more than a couple liters of space, then where will you put your bear box, stove, pad, or sleeping bags? When you go backpacking, the weather can turn at any minute, so the best backpacking tents for the money will go up quick to get you out of the elements. This is also great when you’ve just had a long day of hiking and just wanna get in your tent for some well-deserved sleep. Every piece of gear you invest in needs to be able to hold up against what you put it through. The best backpacking tents for the money are no exception. If your tent fails you, you may end up without shelter. You may not know it, but exposure to the elements can hurt you faster than anything else out there. Make sure your tent will see you through wherever your feet take you. When you’re looking for the best backpacking tent for the money, these 5 tents are a great place to start. While most of them would be best for someone looking to first get into the hobby. If you have a strict budget, get the Coleman Hooligan, and if you need winter protection spend the extra money to get the ALPS Mountaineering Tasmanian. Whatever your needs, any one of these tents on the list of best backpacking tents for the money is a great way to get into backpacking.